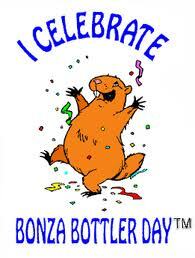 Bonza Bottler Day which is celebrated once a month when the number of the month coincides with the number of the day (Jan. 1, Feb. 2, March 3, etc.). 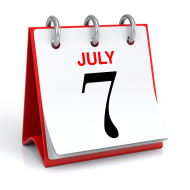 and just so happens to be 7th July!! Do you think that chocolate deserves its own day of honor and celebration? 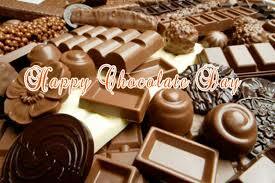 If yes, make sure to mark 7th July on your calendar because it is observed as annual Chocolate Day. Chocolate is one of the world’s favorite flavors, possibly the most loved taste on earth. Chocolate brings sweet memories, sweetens your mouth, mind and heart. One of the most pleasant effects of eating chocolate is the sensuous pleasure that many people experience after indulging. It’s why we regard chocolate more than a food, but less than a drug. Chocolate also has been proven to help our heart heath, reduce food craving and relieve stress. Its benefit and flavor make chocolate one of the most popular gifts on any holidays throughout the year. And also: Tell the truth Day!! This is a day dedicated to honesty and the rejection of manipulation and lying. Also known as National Tell the Truth Day, this unofficial holiday encourages people to always tell the truth, even if it is often times inconvenient and hard. #HappyReading 😀 and have a great day! !